Tread into the gorgeous tide in this new seascape oil painting. Watch the soft colors change in the sky as the waves smack up against a coastal sea stack. In the foreground the energetic waves spill over a dark rock. The motion and rhythm are alive tonight. Let them touch your heart. Feel your spirit start to unwind. 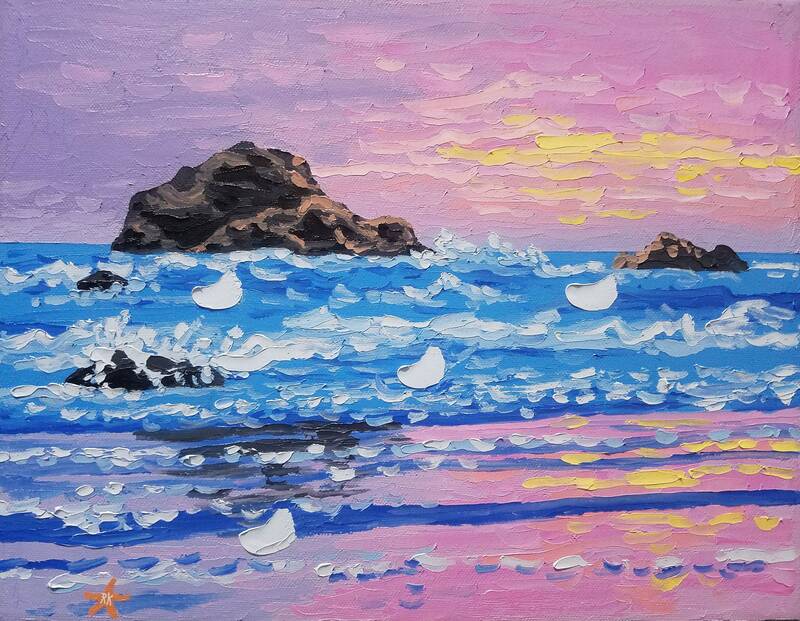 **This seascape was painted using oil paints. It was created on high quality cotton canvas and is stretched and ready to hang. The sides of the oil painting are painted light blue to give the art a professional look. You can hang it right out of the box!